It's Thanksgiving day on Flagstaff Mountain west of Boulder,Colorado. Snow is falling on the Front Range of Colorado and turning the landscape into a frozen wonderland. 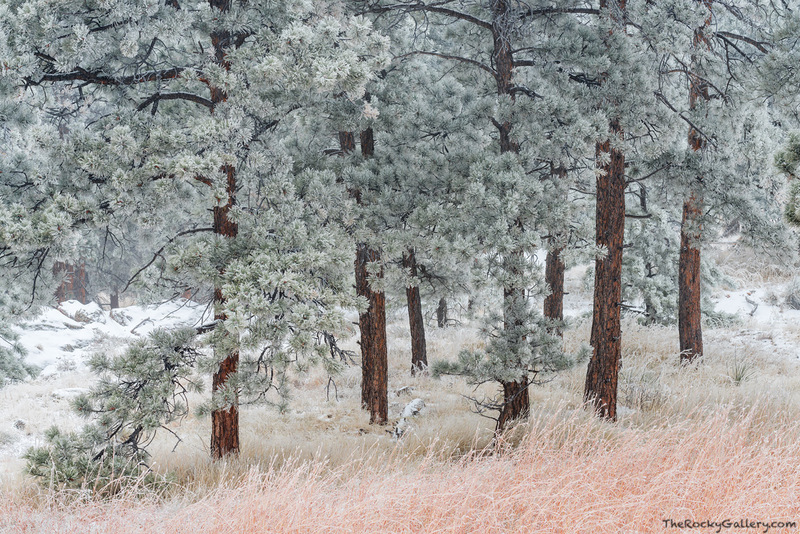 These beautiful ponderosa pines look beautiful frosted in snow and ice from this November storm as the snow continued to fall over Boulder. Photo © copyright by Thomas Mangan.